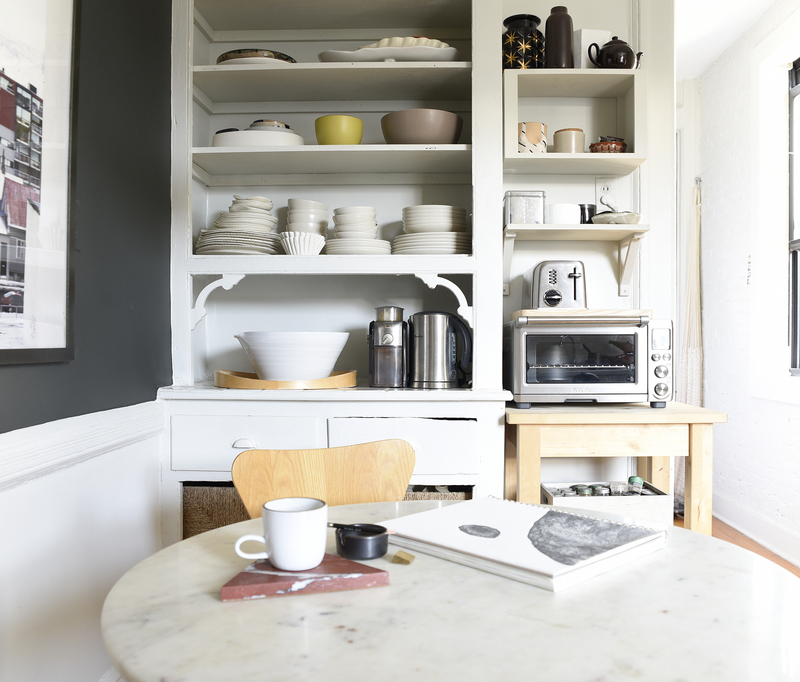 Emily Johnston, an artist and photographer has her home in East Village, Manhattan. Her apartment is stylishly furnished throughout in muted shades and has a calm and harmonious ambience. She has been living in her 450 square feet* apartment for about four years. Before discovering this apartment she visited nearly a hundred other ones, finding most of them dark and depressing. This one was light and airy with windows in every room. “With daylight in all the rooms I feel the passing of time and the qualities that brings,” she clarifies. The bedroom is in a tiny alcove tucked away in the passage between the kitchen and office space. There is a large window here too but the ceiling-to-floor drapes in front of the bed makes this space very private. The dark grey walls enhance the cosy feeling. “There isn’t a wasted space of a separate bedroom which is another thing I really like here,” she says. This is an excerpt from the book Home Life Around the World and is one of the unique and personal homes I visited. Interior designer, author and photographer passionate about homes and life at home. Currently publishing books about authentic and personal homes around the world. 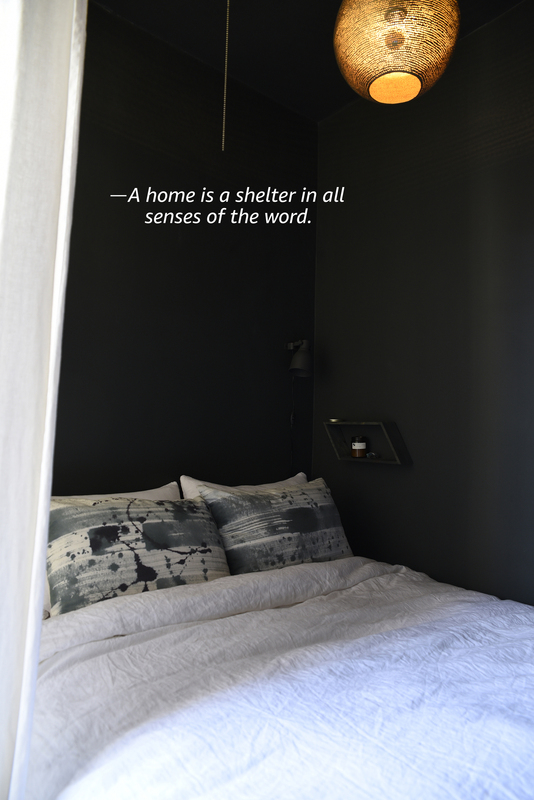 Anita Martinez Beijer is a Swedish interior designer and the author & photographer of the book Home Life Around the World. The book is the result of her quest; what does a home mean? What makes a living space a place we call home? How do we relate to and interact with it? What qualities in our homes do we treasure the most? What dreams and desires do we have related to our homes? Online interior design courses coming soon! Enter for a chance to win Home Life Around the World! "If you want a golden rule that will fit everything, this is it: Have nothing in your house that you do not know to be useful or believe to be beautiful." "Home is, I suppose just a child's idea. A house at night, and a lamp in the house. A place to feel safe".